Stoke ended their search for a first win of the Sky Bet Championship season in style by beating 10-man Hull 2-0 at the bet365 Stadium. Goals in either half from James McClean and Mame Diouf confirmed a comfortable victory in the Staffordshire sunshine. McClean, a summer signing from West Brom, sent Stoke on their way to registering their first win of the new campaign when he confidently drilled home within the opening stages of the fixture. Diouf wrapped up a massive victory for Gary Rowett's Potters just before the hour when his driven shot took a wicked deflection off Hull defender Jordy de Wijs. Evandro then earned himself a red card from referee Darren Bond for a second bookable offence when he mistimed a poor tackle having been brought down by Wales international Joe Allen. 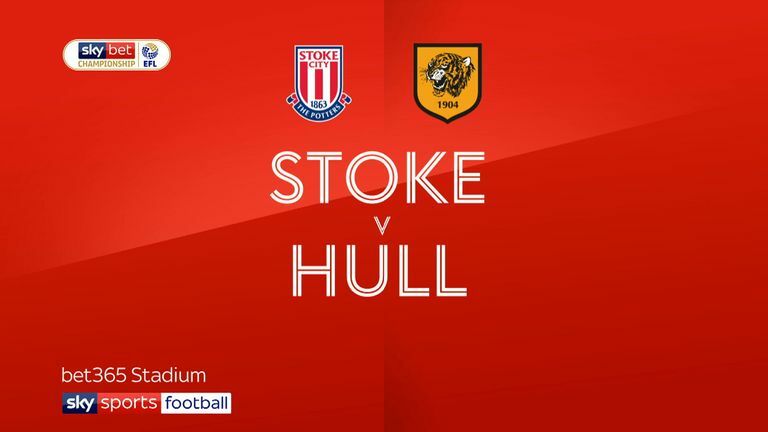 Stoke's first goal came nine minutes in when the ball dropped to McClean on the edge of the penalty area after Hull failed to fully clear Allen's pass from the left. The Irishman struck left-footed through a crowd of players, beating Tigers goalkeeper David Marshall. Not discouraged by going a goal down, Nigel Adkins' visitors saw Evandro's volley directed straight at home stopper Jack Butland, while forward Fraizer Campbell sliced his swivelling shot wide. 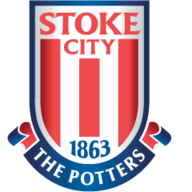 Stoke could feel they should have been further in front at half-time, with Rowett's side going close through captain Ryan Shawcross, who glanced Allen's corner wide, while Saido Berahino could only aim his thumping attempt off target. When the game resumed after the break, Stoke tried to kill off the contest. Marshall had to be at his best to keep out headers in quick succession from Cuco Martina and Diouf, prior to the hosts going 2-0 up just shy of the hour mark. A sweeping move ended with Diouf's 59th-minute shot at goal being deflected into the net with the help of defender De Wijs, with the ball finding the corner of Marshall's net. 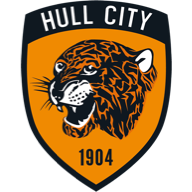 It would soon get worse for Hull just a minute later when Evandro, already on a booking, took his frustration out by mistiming a tackle having been brought down by Allen, giving referee Bond no option but to dismiss him. Stoke wanted to make the scoreline as emphatic as they could, with Marshall forced to beat Benik Afobe's stinging drive to safety, before Peter Crouch sliding his close-range attempt just wide. However, playing with confidence, Stoke rode out a professional performance to lift the spirits after a difficult start to life in the second tier. Gary Rowett: "I think the fact that we've tried to stay calm… we've tried to give players an opportunity as well. I thought the players that came in today did well and gave us more physicality. "I thought we should try to stay positive with the players and maintain a little bit of belief. We felt if we kept doing the right things and built on the first 25 minutes of Wednesday night's game and not focus on all the other things that happen, then we could get some form of reward. I think we did today." Nigel Adkins: "We've come away from home and we've conceded a goal from a corner and we have to address that I feel. I felt David Marshall dealt with the first ball in, punched it really well. It's gone outside the penalty area and McClean has driven it back in, it's gone through two people's sets of legs, and the second one is deflected, so we didn't get the rub of the green. "I think we started the second half well. I'm looking to make two substitutions - I have Will Keane and Nouha Dicko waiting to come on while I take off Evandro and Fraizer Campbell - but as they are stood waiting, Evandro gets sent off. Having wanted to get back into the game, we were 2-0 down with 10 men so it was always going to be challenging."